Writing about my beliefs on this blog is incredibly vulnerable, to say the least. People email me, quite often, always supportive of my faith, but I anticipate daily THAT one person who will one day send me a scathing note about my stance on something. Faith is a very personal thing. Like one's political views. I don't want anyone to feel uncomfortable or out of place being here. Not to mention - I would never, ever want to be one of those people who shoves my beliefs in your face. But I realized a few years ago, that if it’s important to me, I should talk about it. This post is a novel, but honestly, it barely scrapes the surface of what my heart believes. I believe in Jesus, and that died He for me. I believe in His grace, forgiveness, and love. I believe Heaven will be a beautiful place with no sorrow or pain. I've witnessed miracles. I've seen God work in my own life, in the lives of those close to me, and in the lives & hearts of people all over the world. I believe that His heart for the nations is huge. I believe that I will never fully understand how much love He has for me, and for the world. I truly believe that He speaks to us through many things - the wind, the roar of the ocean, the rustling of leaves, the sound of rain, children’s laughter... through the hug of a friend, a stranger’s smile, a helping hand, a beautiful sunset, a really good dream. His Love is all around us, speaking to us through the little things, in the smallest moments. I think so many Christians put God in a box, when really, He is so much more than we could ever comprehend and His Love knows no bounds. I think some Christians allow themselves to become incredibly narrow-minded. A lot of people have this idea that Christianity is a bunch of rules, and nothing else. If you slip up, or make a mistake, you’re a horrible human being. That God only loves a certain type of person. That you have to act a certain way or be perfect to be a Christian. That Christianity gives you the right to be judgmental, hateful, spiteful, hypocritical, intolerant, and arrogant. That God is an angry, unjust, neglectful, despicable, prejudice God... do I believe these things are true? Absolutely not. The Jesus I know, what I believe Christianity is, can pretty much be summed up in a few words: compassion, selflessness, and most importantly - love. Jesus is all about showing compassion and kindness, and He has a heart for nurturing people. He looks at us with love and is there when we fall, when we hurt, when we have joy. This may sound silly, but when I think of Jesus... I sort of envision him as a loving, peaceful, warmhearted hippie. When He was a man on this Earth, He loved on people. He nurtured their hearts. He was a great storyteller who adored being with people. He was a good Samaritan who gave, and gave, and gave. He was incredibly upset with the haughty, judgmental people of the church for shunning others who (they thought) were “below” them. The poor, the sick, the prostitutes, the tax collectors, the thieves, the beggars. (even some of the children were an annoyance in their eyes) To them, these people were “low-lifes”. They didn’t fit in, they weren’t “good enough”. And that broke Jesus’ heart. To know that these people, His children, were being neglected, ridiculed, tormented, and even killed... just because they were “different” - I can't imagine how sad that made Him. You know what He did, though? He went to them. He sat and talked to them. He listened. He showed them compassion. He embraced them, healed them, helped them. He treated them like they were human beings, like they were equal. Because no one on this Earth is better than anyone else. None of us are perfect. Jesus loves me, and He loves you, and He loves your neighbor next door even though they're loud and obnoxious. He loves the mailman, and the single mother working three jobs, and even the politician who makes shady choices. He does not forsake people, or strike them with lightning when they’ve made a mistake. He is understanding and kind. 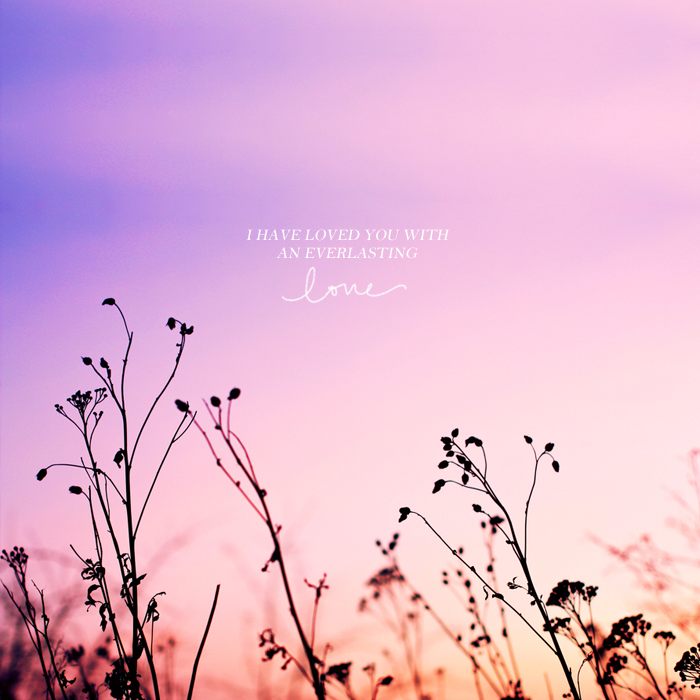 He loves us, and I believe that Christianity is about spreading that Love to the world. If Jesus walked this Earth today, He would give his time and energy to feeding the hungry, healing the sick, and helping those in need. He would reach out. He would bridge gaps. He would bring us together. He wouldn’t show hate, be judgmental, ignore people who were “different", or be part of hateful protests. All of those things are heartbreaking to Him. He created us all. He does not see gender, race, or looks - He sees our hearts. He doesn’t care about wealth or social status. And (as much as people want to think so) I believe He doesn't choose political sides. But - He does fight for good. He fights for love. He fights for you. I love to imagine Jesus hanging out with all of those people... the ones who were told by others that they were scum. Jesus spending time with them sent such a message to the rest of the world... that everyone is special in His eyes. That we should love our neighbors as ourselves. He set the ultimate example. While the judgmental and the rich touted perfection and were too prideful to admit that they were flawed just like everyone else, these people... the "different" ones... they were willing to admit that they weren’t perfect, that they had problems, that they struggled every single day, and that they needed love. I picture Jesus reaching out to them - listening to their stories, holding their hands, and speaking words of light, hope, truth, and love over them. Who cares what anyone else thought? Jesus certainly didn’t. He chose to look past the dirt on their faces, their flaws, their mistakes, and their wrongdoings - because they were close to His heart. That’s what love looks like. He loves... truly, simply, wholeheartedly, unconditionally. And don’t you think, as Christians, we should do the same? Shouldn’t we all be like that? Regardless of our beliefs, shouldn’t every single one of us show that same compassion and love to everyone we meet? I think so. I am far (FAR!) from perfect, and I may have days when I don’t want to show kindness to everyone... but I want to try, every day of my life. So, if you see a “Christian” or certain “churches” protesting a soldier's funeral or a gay marriage, or saying hateful things against others, or telling you that you’re not good enough, that you're going to hell... please know, that is not who I am, nor will I ever be that type of person. And let me make this incredibly clear - that is NOT what a Christian really looks like... it is the opposite of what Jesus has taught us and it makes me unbelievably heavy-hearted that this is the image of Christianity that is being portrayed to the world. A faith that was built on love, compassion, and selflessness - has been turned, by so many, into a "faith" that is filled with judgment and hatred. There are "Christians" who have twisted our faith to their advantage, to use against others, and it is wrong. This is a false image that is royally screwed up... know that! I want to be someone who exudes that wholehearted love I was talking about. I hope people see love through my words and actions. I hope people see someone who is genuine and caring. I hope they see someone who is always willing to listen and offer encouragement. I hope they see authenticity and compassion. Please know, that whoever you are, wherever you come from... you will always find kindness and love here. xo.